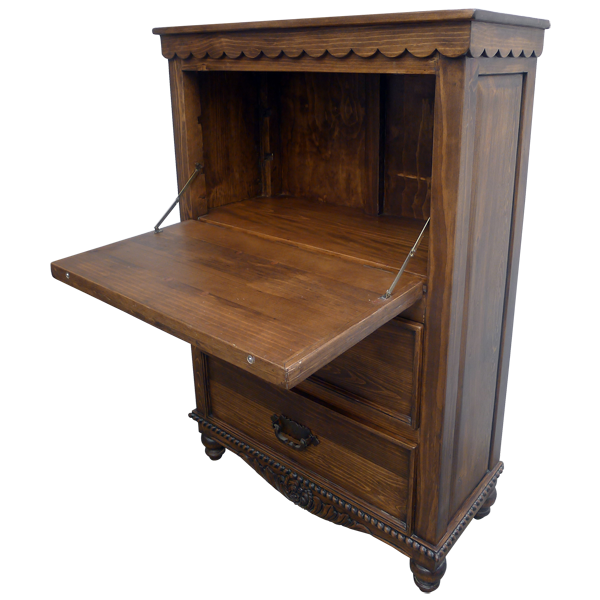 This handcrafted, Western style desk has an innovative design that features a hinged door that drops to serve as a desk top. The bottom two rectangular drawers each have a hand forged, iron handle in their center, and the top two rectangular doors are actually a door with a hinge. The door drops down to serve as a desk top, and inside the desk is a large work and storage area. 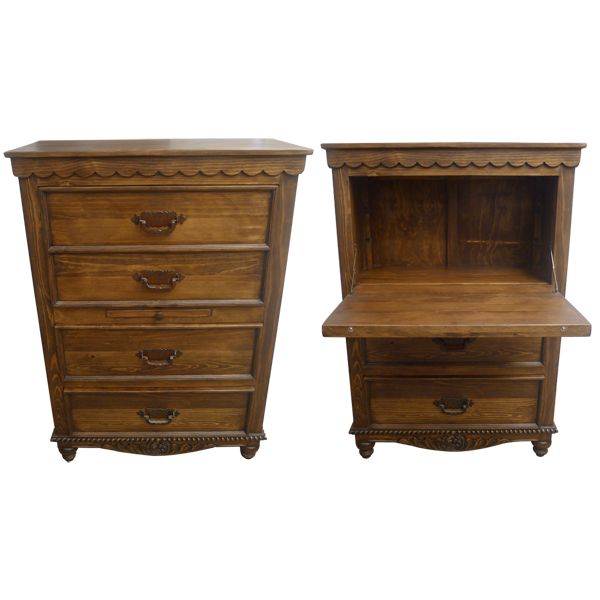 The desk has an open, wide top with a classic, straight top rim, and the area below the top rim is embellished with beautiful, curved, scalloped designs. The solid wood base is adorned with a hand carved, twist rope design, and below the base is an apron with ornate, hand carved, floral designs. Both sides of the desk are enhanced with a decorative, geometric cut panel, and it rest on hand turned feet. 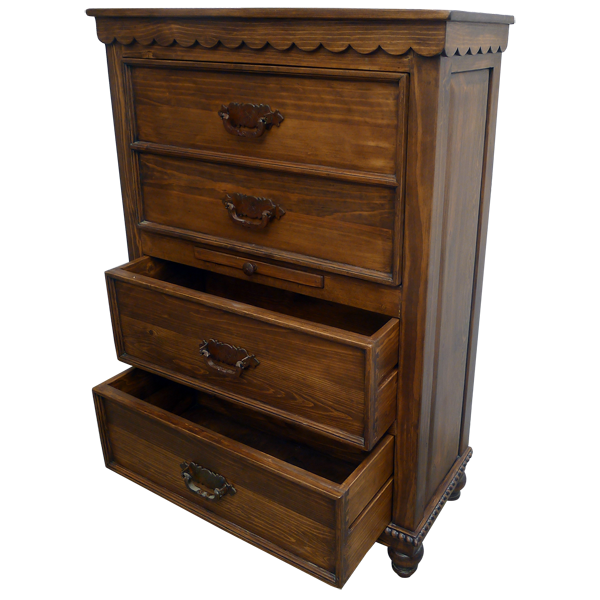 The desk has a beautiful, antique finish, and it is made with the best, sustainable, solid wood available. It is 100% customizable.